"Let it not be said that I was silent when they needed me." - William Wilberforce. Luis was born in the island of Puerto Rico in the town of Santurce. At an early age domestic violence and divorce wrecked his family. Circumstances led his mother and two younger sisters to move to the Hunts Point section of the South Bronx. Needless to say he saw firsthand how the gangs, violence and crack/heroin epidemic was devouring entire neighborhoods. Most of his peers where getting caught up with making a fast buck and landing in places like Spofford, Rikers Island and, in many cases, the cemetery. Luis a latchkey kid was also responsible with helping his mother raise his two younger sisters. Eventually Luis made some poor choices, and like most of his peers ended up in the NYS penal system. Out of these painful and difficult experiences Luis developed a tremendous passion for mentoring at-risk youth. In 1991 he obtained his GED from South Bronx High School. He attended Hostos Community College (1991-1992), and SUNY Sullivan at Lock Sheldrake (2011). 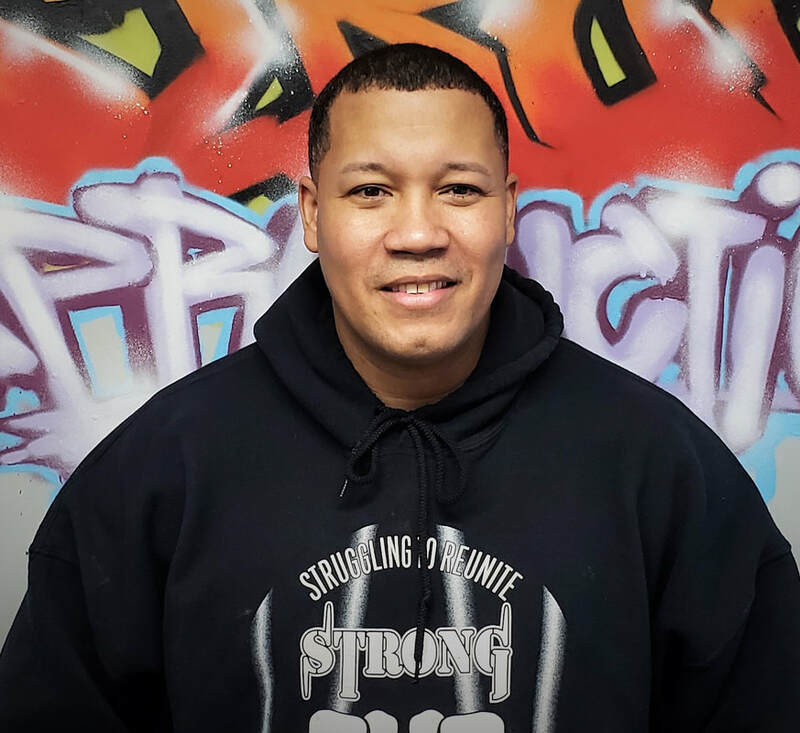 He gained extensive volunteer experience through the Alternative to Violence Program (AVP) (1997-2010) and the Youth Assistance Program (YAP) (1999-2005), a program designed to address youth violence and at risk behavior. From 2011 to 2013, Luis connected with youth by sharing his experiences with youth at the AG Church youth group in Freeport and through is Youth Outreach position at the EOC of Nassau County from 2015-2018. Luis is also a volunteer Crisis Chaplain with the New York State Chaplain Task Force. ​In March 2018, Luis had the good fortune of meeting Rahsmia Zatar, Executive Director of S.T.R.O.N.G Youth through his mentor and fellow Chaplain, Dr. Hector Custodio. He was immediately asked to join the S.T.R.O.N.G family!